And coming soon to Florida! In the little publicized, poorly defined FFWS meeting in Jacksonville yesterday, not much was really accomplished or confirmed about the plan to renew Black Bear hunting in this state. We still do not really know exactly how, when, where or what is going to happen to our Black Bears. Another meeting is set for April in Tallahassee. A sparse few showed up to object to hunting them, but so many more came to support the plan to begin once again hunting/killing our Florida Black Bears. FFWS said that they are going to become much more aggressive in the way Bears are handled or controlled from now on. Two things in the various news stories reporting this meeting stood out to me. One was that if the hunt is approved, the hunters will not be killing bears in the conflict/troubled areas, but, they will instead be deep in the woods killing Bears that may have never even seen a Human, let alone caused any sort of problems. And second, the news that of the 41 states where black bears live, 32 already do allow hunting. This to me, seems to be used as a form of excuse by the Hunting groups to renew the killings. I wonder if any of these hunting supporters have ever been to California? I lived there for over 30 years and never saw a Bear or any other kind of wild animal, except for raccoons and deer, until I went to Yellowstone and then again when I came here to Florida nearly ten years ago. You see, they had already hunted most of them, to extinction, long before I ever moved there. What was missing from this Bear Meeting yesterday, was what happened to the bear populations in those states, after the hunting began. This animal was, just a short time ago very scarce in Florida. In this state, Bears are not the problem, people are the problem. They refuse to do what will keep bears away from their neighborhoods and out of their yards and garages. They leave food outside in their yards, and in open garages, they do not have bear proof trash cans, in fact some of them even outright feed the bears. Dumpsters all over Central Florida are left open and uncovered. For Bears, who always follow the food, this entire area is one big Bear Buffet. Dinner is served, and they all know where to find it. It all here for them to enjoy. All that is, except for the ones who have already been killed by FFWS. These bears were labeled as bad or aggressive bears, too aggressive to be allowed to live. The idea of a resumption in Bear hunting gives me fits of terror. Well, that year the controlled burn nearly wiped out most of Central Florida. To say it got out of hand fast, is an understatement. So, what happens when FFWS gives Hunters, these same ones we now see out on our local roads, standing on their roofs and in the beds of their pickup trucks firing into the woods, using rifles now also armed with silencers? This is the reason that I am very worried right now, not just for the Bears, but for all of us. These Hunters, who continuously show that they care little for the safety of others, or their own hunting dogs, are completely “over the moon” at the idea of finally legally being able to shoot and kill bears. Since moving here ten years ago, we have witnessed already, some cruel and sick behavior towards Black Bears. They have found bears dead on the sides of the roads, with their paws and feet cut off. Now FFWS wants to give these people permission to do it legally. I keep remembering the controlled burn in 1998 and the complete devastation that it caused to Humans and Animals alike. But things just got out of hand. Will controlled Florida Bear Hunting be any different? This entry was posted in Animal Abuse, Animal Activist, Animal advocates, Animal Issues, Animal Organizations, Animal Rights, Animal welfare, Animals, Bears, Black Bears, Controlled Burn, Feeding Wildlife, Florida, Florida Fish and Wildlife Conservation Commission, Humane Society, Humans, Hunters, Hunting, Silencers, Wildlife, Wildlife Activists, Wildlife Issues and tagged Animal Issues, Animal Rights, Animal welfare, animals, Black Bears, Controlled Burn, Florida, Florida Fish and Wildlife Conservation Commission, Hunters, Hunting, Mammals, Silencers, Wildlife, Wildlife Issues. Bookmark the permalink. Thank you for sharing this with your readers! Seems like the best thing we can do is raise awareness as far as possible and see what pressure can be put on FFWS before the April meeting. I will write to organisations I know of that may be able to support the black bears. I have also seen massive world-wide petitions of support make a difference when it comes to decision-making on local animal issues. I know there was a recent Greenpeace petition that helped persuade the Mexican government to protect some rare dolphins. If only there were more here in this state who cared, it might be different. Yes, sadly it sounded from your links like there were more people ‘inconvenienced’ by the ‘nusance’ bears than those who care about these beautiful animals. But we can still be ‘loud’! I’m praying for you to get the help you need to prevent this open season. There are already too many careless hunters in the world, and the ones who want the black bears are probably the ones who need the head only to mount in their game room. The rest of the bear will be left behind to rot in the ground wherever it falls. I can relate to hunting for food, but never to hunting for trophy, or thrill. That’s so wrong and that is what is killing this world as we know it. Please do Keep praying. The Bears are going to need a miracle! 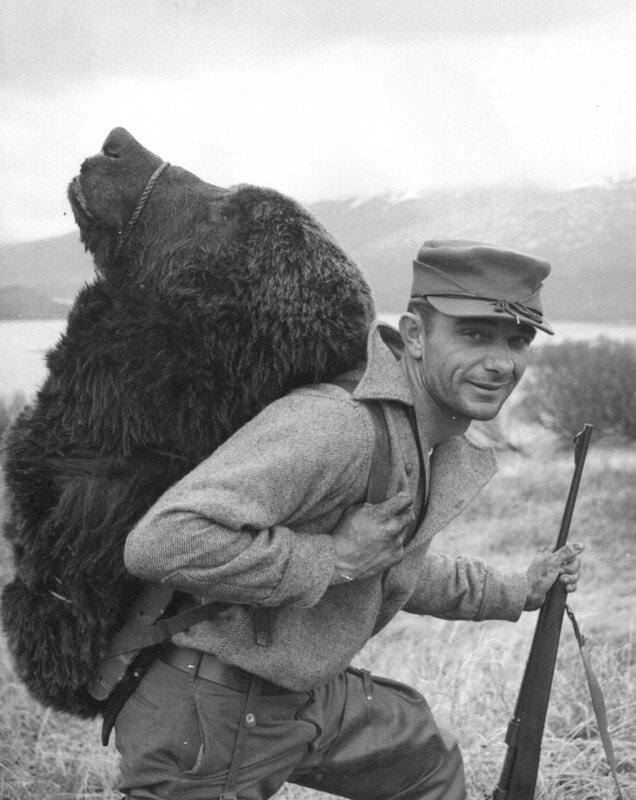 I’m so sorry for all this, that photo of the hunter with the bear is impressive… You wouldn’t want to see a video of these huntings either, for anything in the world. I once saw on video a massive hunt of coyotes and I got sick to my stomach, hearing them all whine and howl. It’s horrific how the rulers from Nature get blown away, as they were here first, before we were. People always seem to forget the beasts were all here first, before we were! I truly do believe in Karma. In the end, we will be repaid for all of the pain that we have inflicted on the innocents. Reblogged this on Ta hendene til din kjære – se på dem og hold dem hardt Disse hendene skal du følge, leie og lede. Du skal få føle på varmen fra dem og kjenne en inderlig glede. De skal stryke deg og de skal holde rundt deg – de er ikke skapt for å såre i vrede For du skal ikke alene mer vandre. De skal klemme og kose og aldri klandre De skal skjerme deg for det du ikke selv ser. De skal elske og aldri forakte – bare hjelpe når du ber. Disse hendene skal jobbe for at dere skal få det godt De skal gi – og du skal takke for det du har fått. De skal tvinnes sammen i kjærlighet og være ømme og gode og et tegn på inderlighet Hendene du holder er sterke og unge De skal gjennom mye for din skyld når dagene er tunge De skal stryke og klemme og være gode og fromme De skal ruske i ditt hår og takke når dagen er omme Disse hendene skal følge deg gjennom livet. De skal holde fast ved deg og verne om samlivet De skal være hos deg når alle andre har gått De skal aldri slippe men holde fast og tørke tårer når du har grått. Hendene skal bære din ring med rette Den skal skinne og for alle berette Jeg elsker deg! – kan den bekjenne Det er bare en som har maken til denne En dag er hendene blitt ru og grå Hver fure og rynke forteller om livet som bak dere lå Dere kan minnes den dagen i dag – da et livslangt bånd Ble knyttet Og fra denne dag dere gikk Hånd i hånd.. Thank you so much Lisa for sharing this! When they are all gone, it will be too late to say “sorry”! We are all great. How are you. We miss you!!! Sounds a lot like the wolf “harvest” in Wisconsin and Minnesota. In Wisconsin “hunters” are allowed to “train” their dogs for the fall hunt of bears and wolves by letting them chase these wild animals during the summer (!). That’s when the cubs are being raised. How can that be ethical? But apparently it is, at least to some WI-DNR officials. I heard one wolf hunter in MN say he was going to honor the wolf eh killed by making it into a hat. He was serious. Some people in my town think that the low deer take this past hunting season was because of wolves and not because the DNR had a “bucks only” season. Its like talking to a wall. If I hunted I could have easily gotten 10 deer (all does) last fall because that is how many go through my gardens and yard every morning. Dear sweet and kind Ronald. I have been in mourning for our beautiful Black Bears here in Florida. In just a few days, those with the power to do so, will decide their fate. I have little hope for them and truly have very little to say at this time. who are now in the cross hairs of those who live to hunt and kill. it will be too late to see the tragedy that Humans have caused. I wasn’t expecting that image; the hunt makes me very sad indeed. 😦 Humans do not deserve such regal creatures. Thank you for sharing this. There is little more that we the common people can do. Those in power in Tallahassee have chosen death for our beautiful Florida Black Bears. Money and Republicans rules here and the Bears are doomed! You are most welcome. I too wish we could do more to stop animal abuse. This is why we need Animal Rights to be legally enforced.